New Freedom berthed in the bay! While taking the ferry from Torquay to Brixham or Dartmouth is always enjoyable, there’s something truly special about sailing out in the bay, as I discovered a while back, out with the Disabled Sailing Association and a crew of Combe Pafford students. 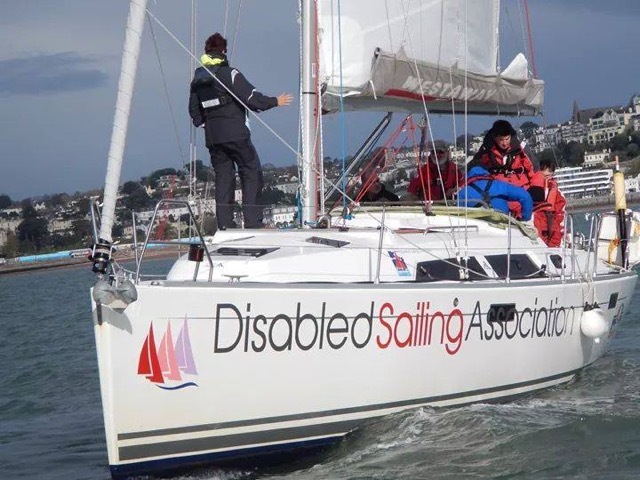 The Disabled Sailing Association (DSA), non-profit making and run for the disabled by the disabled with support from able-bodied volunteers from the community, gives people with a disability, along with their family and carers, the opportunity to enjoy the experience of seagoing sailing. Now, they’re delighted to announce, their new boat, Freedom, is home and on her berth in Torquay Harbour. Two and a half years ago it was getting to the point where the DSA’s original boat Freedom was of an age where her replacement needed serious consideration – and, luckily, she was at the point where she could most viably be sold. The organisation began some active forward planning and, having considered a range of similar boats, a Beneteau Oceanis 38.1 was the right choice. In length she was just another 4’ longer, but her beam was considerably wider at nearly 4 metres – a huge advantage to those of limited mobility, with more deck space for wheelchairs, as well as being roomier below. For all that, the Harbour Master agreed that the DSA could berth her in the same place. 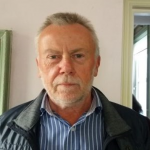 For more information about The Disabled Sailing Association, including how you can help by donating, or how you can sail with them as a disabled member or a volunteer, and to read a much fuller account of the story behind acquiring and sailing Freedom home, you can visit their website http://www.disabledsailingassociation.org.uk.